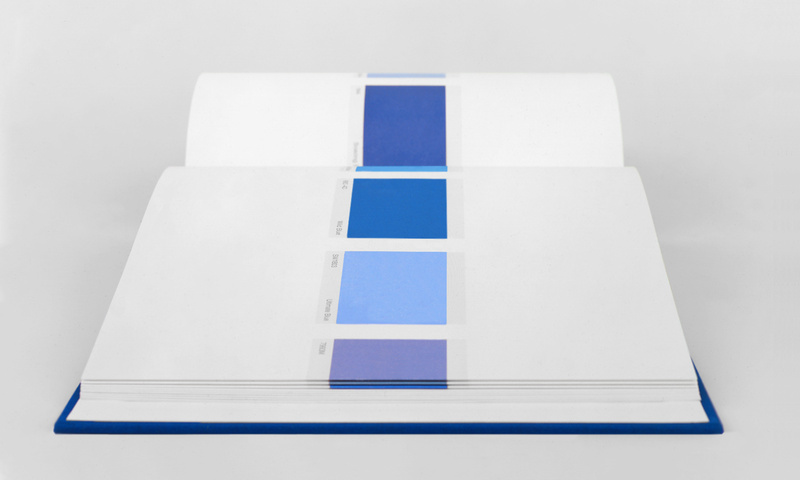 Each volume reproduces 40 blues drawn from thousands of commercial paint colors. 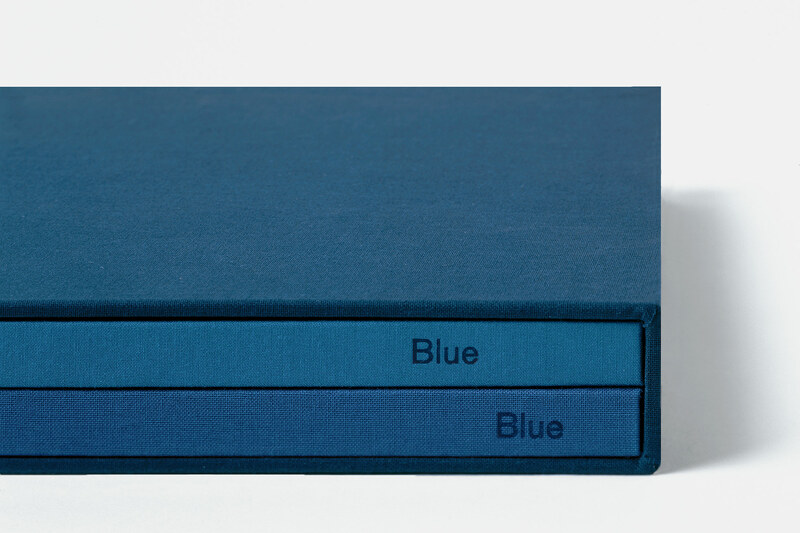 In the first volume, BLUE [ ], the artist selects colors in which "blue" is used as an adjective in the color's name, e.g. Blue Note. 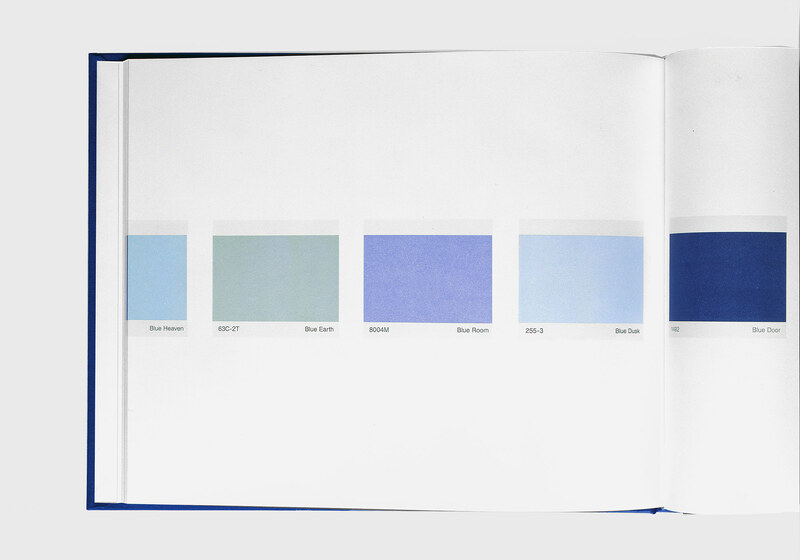 In the second volume, [ ] BLUE, the artist selects colors in which "blue" is used as a noun in the name, e.g. Timeless Blue. Available here.